Under the supervision of graduate student Margo Regier, Ali experimented by taking a diamond-bearing rock and cutting it in half. One portion was processed using the diamond industry’s standard of crushing the material between vibrating plates. 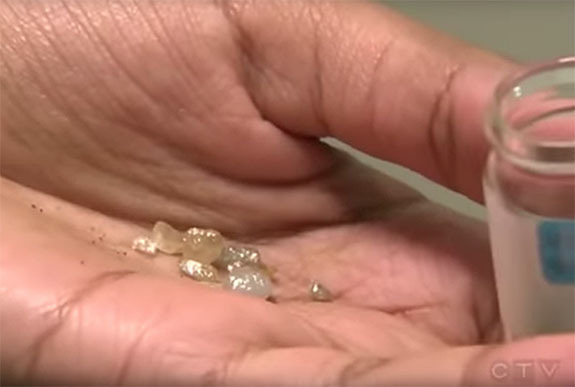 The diamonds in that sample were completely destroyed. 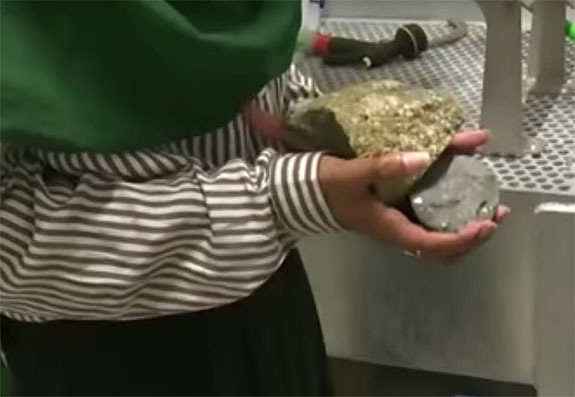 For the other half, Ali used the Swiss-made SELFRAG device to break down the rock using high voltage. This technique yielded 10 undamaged diamonds. The SELFRAG machine at the university’s Department of Earth and Atmospheric Sciences had been donated to the program so researchers could test the range of its capabilities. 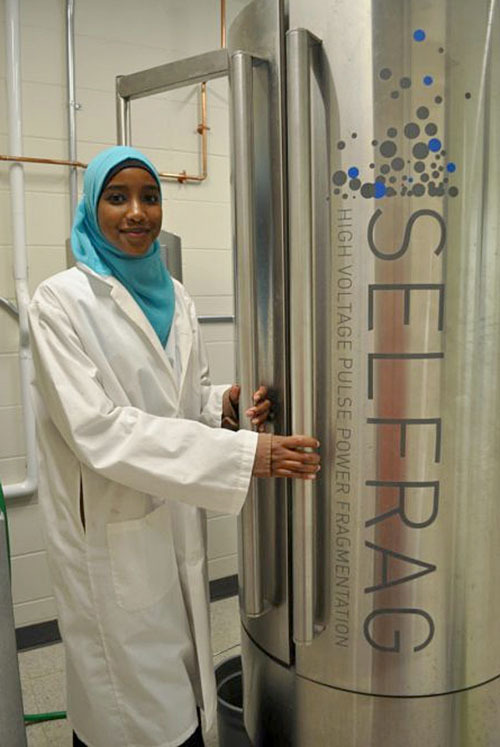 The Edmonton high school student’s participation in cutting-edge research was made possible by the Women in Scholarship, Engineering, Science, and Technology (WISEST) Summer Research Program. 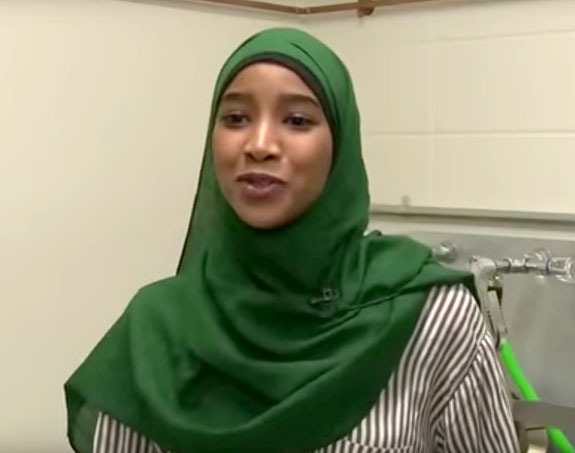 Ali hopes to continue to pursue science as a field of study.